1. A contestant is eligible to play in only one division. 2. USGA Rules will govern all play. 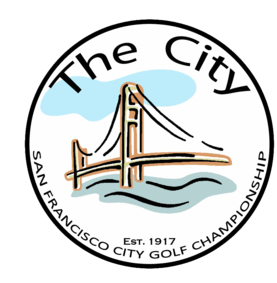 Additionally, the SF City Hard Card along with the Supplemental Local Rules for each course will be in effect. A copy of these rules will also be available at each course prior to the start of the competition. Normal score cards for the courses will have no status. 3. The Men’s Championship Division finals match will be contested over 36 holes. 4. The Women’s Championship Division finals matches will be contested over 36 holes. 5. A fully completed entry form and tournament entry fee is to be submitted by each contestant simultaneously for an entry to be considered official. 6. Practice rounds are available at the course subject to the San Francisco City and County approved green fee rates and current reservation system requirements. 7. All city golf rules issued by the City and County of San Francisco Recreation and Park Department shall apply. 8. The practice area at TPC Harding Park and Lincoln Park golf courses will open at 6:45am on all tournament days. 9. It is recommended that all players wear appropriate golf attire in accordance with NCGA dress code. 10. In the event the Men’s Championship Division, Women’s Championship Division, Senior Men and Super Senior Championship Division is oversubscribed, the field in each division shall be determined by date entry received. 11. The Championship committee shall have the right to amend the format as reasonably necessary and any and all of its decisions shall be final regarding the competitions, rules and other factors relating to the tournament proper.